【MAKE YOUR WORK EASIER】With the built-in Bicolor LED’s,there’s no need to use external filters like with other studio light brands,the color temperature knob makes it easy to switch between warm or cold light on the go. Just one knob allows you to easily adjust the brightness which dimming from 0% to 100%. With the LCD display behind the lights, you can easily see the exact brightness, when using lights in a variety of different scenes, it can achieve maximum accuracy. 【SOFT BUT HIGH BRIGHTNESS】Shooting more realistic photos with excellent professional SMD LED light, no flicker. Because of the black edge, the light can be more concentrated so that it is brighter than other brand. With soft diffuser, it is a good way to reduce harm to your eyes and make the light still soft. 【BIG BUT LIGHTWEIGHT】Thin housing, only 1.18inches/30mm--made of excellent quality ABS housing, so that its weight is lighter, which is easy to carry and convenient to set up for shooting. It helps you to save space in your studio, which makes you not be worry about the problem about using place. 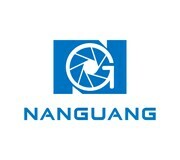 【PERFECT FOR PHOTOGRAPHY SCENE】 NanGuang professional studio light can be placed directly on the light stand, providing multiple shooting solutions, more convenient for your creation work. Make natural color and high color reproduction, perfectly suit for YouTube,Facebook live streaming, still life photography, children shooting, portrait photography and video shooting, etc.